After 15,000 hands Doug ‘WCGRider’ Polk has emerged victorious in his heads-up challenge against famed high-stakes grinder Ben ‘Sauce123’ Sulsky. After 15,000 hands Doug ‘WCGRider’ Polkhas emerged victorious in his heads-up challenge against famed high-stakes grinder Ben ‘Sauce123’ Sulsky. The challenge concluded its final instalment last night, with Polk snatching another $150k from Sulsky in just over 1,500 hands. This takes his final profit from the challenge up to a massive $748,230, not including the $100k side bet promised to the winner. 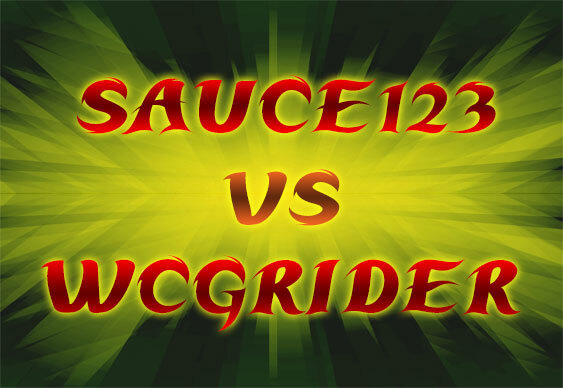 WCGRider has been a large winner in every match, but last night saw Sauce especially unable to catch a break. One hand, which ended in an $83.5k pot, occurred when WCGRider was holding 77, to Sauce’s 99. The flop fell 7d Qs 8h to give WCGRider three of a kind, only for the 9 on the turn to bring Sauce a higher set. On both streets, Sauce checked, calling pot-sized bets from WCGRider. In a sick twist, the 7s dropped on the river, meaning that WCGRider hit a one-outer to give him quads. The money inevitably went in, and Sauce’s losses deepened even further. One incredulous 2+2 poster commented “s1ck […] WCG, what u eat?” only to have Polk gleefully reply “sauceages”. This is almost ludicrously fitting; before the challenge had started, fans were divided as to their opinions of who the eventual victor would be. Since then however, Sulsky has been well and truly chewed up and spat out, losing a total of $850k to Polk. Railbirds shouldn’t give up hope yet, though, since we can report that Polk is putting out feelers to other high-stakes pros. “Now maybe with Ike (Haxton) – I talked to Ike about it, and he said he was interested in at least playing some hands, but it’s tough to know if he’d be willing to do something like that,” said Polk. Read Polk’s ranking of the top 10 heads-up NLHE players here, and watch out for our exclusive interview with him in next month’s issue of Bluff Europe.